Late last week I attended the Say No to McDonalds public meeting held by TVAG. I was there to talk about the planning process and how the community can participate in this statutory process. 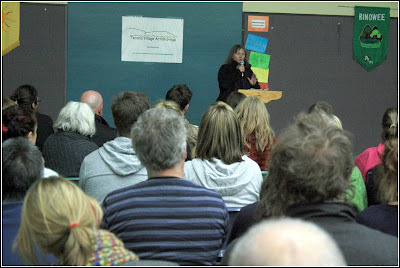 The meeting was well attended, with over 200 community members coming along on a frosty Friday night. I advised people that council were yet to receive an application from McDonalds. I went on to talk about the statutory planning process which starts once McDonalds lodges an application. Once council receives an application planners will determine if any additional information is required and if so request further details from the applicant. The application will also be forwarded to the Shire's internal departments (Environment, Engineering, etc) and to external bodies too, such as VicRoads, to seek their opinions on the application. The application will be advertised both on site (with a permit application notification sign) and via letters, it is at this point when submissions should be forwarded to council. 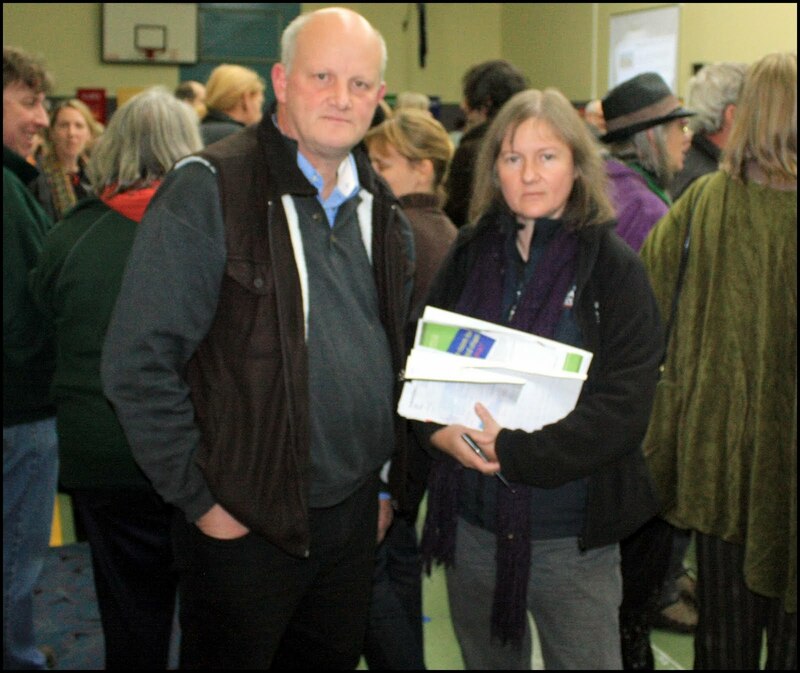 I encouraged those community who wish to object to ensure that they included a copy of their objection to all councillors, it's important that all Yarra Ranges councillors understand the issue and concerns of locals. I also talked about the three types of objections council usually receives, individually written letters, form letters and petitions and explained that an individually written letter carries more weight in the eyes of a councillor than a form letter or petition. 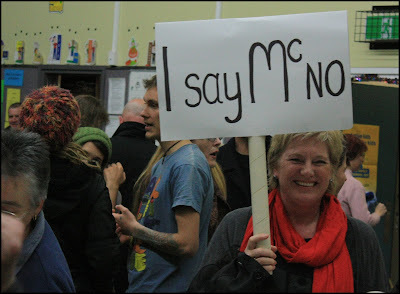 I advised community members that their objections must be based on planning matters rather than any ideological reasons for objection to McDonalds and that likely areas to concentrate on could be traffic, amenity, neighbourhood character, built form, hours of operation and residential interface. The planners will make an assessment of the submissions and consider the responses by the applicant to these. Once all referrals are returned (both internal and external) the planners will make an assessment of the application. In my view it is likely that the application will be heard by council as the trigger is more than 6 objections and given the enormous turn out at this first meeting I think it's a safe bet that there'll be more than 6 objections heading to council. The planner as part of their assessment will prepare a report for council which will include a recommendation which will either be to approve or refuse the application. Council will then decide at a public council meeting whether to approve or refuse the application. It is also my view that this application is likely to end up at VCAT, regardless of whether the application is refused or approved. For those unfamiliar with the planning process it can seem very bureaucratic but I hope this advice assists the community to engage fully in this important statutory process.